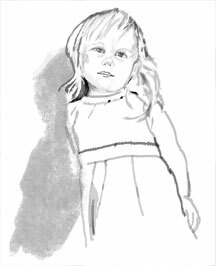 I’ve been working digitally on some graphite-like sketches. I like this one of Adele. 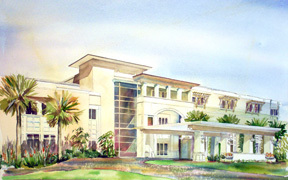 This is a rendering of a new hospital that will be built to serve the Western Communities in Palm Beach County. Expected completion will be in 2008. 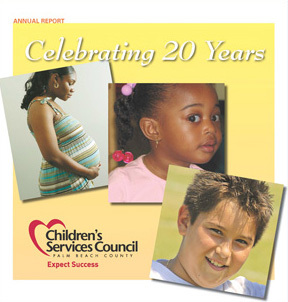 I have just completed the Annual Report for Children’s Services Council which will appear in the Palm Beach Post on September 7. This is a recently completed watercolor rendering of the Trauma Hawk hanger for the Health Care Distict of Palm Beach County. 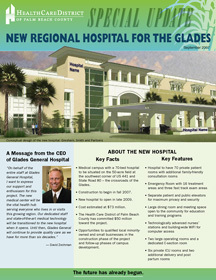 Newspaper insert designed for the Health Care District of Palm Beach County to offer information to the western communities about the new regional hospital project. 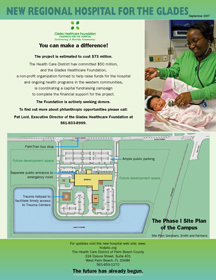 Some of the agencies involved are the Health Care District, Glades Regional Hospital and Glades Healthcare Foundation. “Adele and the Bird”. 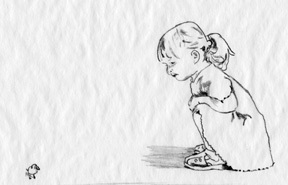 This sketch is in preparation for a series of paintings that I will begin in late autumn based on Adele. 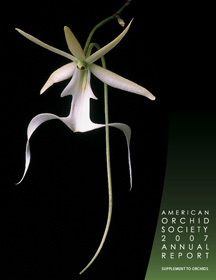 I’m starting this blog as a fun way for friends and clients to see current projects progress. Comments are welcome.